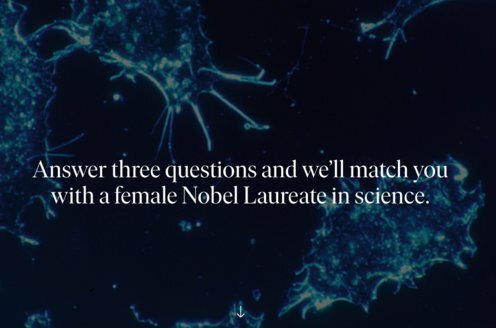 It is a privilege to address you on behalf of all three recipients of the 1981 Nobel award in physics. The reason that I have been chosen as spokesman is not clear; it would not be effective to address you in my native language of Dutch, and while my English is not as good as Dr. Schawlow’s, my Swedish is far worse than Dr. Siegbahn’s. In fact, my Swedish is limited to “tack så mycket”, quite appropriate but hardly sufficient for this occasion. When I looked up the word “laser” in an English-Swedish dictionary, it turned out to be the same, and so it is in most other languages. This is indicative of the fact that science readily crosses international boundaries. This thought was much on Alfred Nobel’s mind. These illustrious Nobel celebrations that ensued from his will provide an eloquent and elegant testimony to the international contacts of science. Lasers contribute to the improvement of communications. Optical communication and information processes will further influence the lives of people in the decades to come. Dialogue and information transfer, from person to person, from people to people, are important, nay essential, for mankind. The fate of all of us on this globe is tied much closer together now than it was a century ago. The enormous improvement in communication that has occurred may be illustrated by an anecdote about the Nobel Laureate in Physics in 1930: C. V. Raman had to make his steamer reservation from Bombay, India, well before the final decision about his Nobel award was made. Lasers, in their two decades of existence, have found numerous other applications outside of the communications field. They are used for delicate surgery, for cutting in the manufacture of clothing, for welding and materials processing, and for alignment in the construction industry. In addition, they function as sensitive tools and spectroscopic instruments in other sciences, including chemistry, biology, metrology, geology and cosmology. Alfred Nobel would have been delighted with all these technological benefits sprouting from basic laser physics. As was the case for Nobel’s own invention of dynamite, the uses that are made of increased knowledge can serve both beneficial and potentially harmful ends. Increased knowledge clearly implies increased responsibility. We reject the notion advocated in some quarters that man should stop eating from the tree of knowledge, as if that were humanly possible. Those who propose that we eat only from certain branches of that tree do not specify how and by whom those branches should be selected. We reaffirm that free inquiry and the search for increased knowledge is a noble human pursuit. It will enrich our lives, although at times it will also make life more complicated. In thanking the Nobel foundation for the award, we accept the honor, together with the responsibility: “Noblesse oblige”.